GarageInstruments® is a very small company in comparison to many others. What may seem to be a drawback is actually a big advantage, because the path from a drawing board to a customer is much more personal and flexible. We are not anonymously hidden among white walls, but we are personally involved in creating every single amplifier, hence each and every piece is our calling card as well and so we set our standards high as it is a very delicate thing to us. We use only high quality components and take a special care of critical elements, which are most frequently used by a costumer, therefore they are the most stressed ones. We will do our best to keep this level or even move it to a higher one. We will not go back. The most important thing to us is a satisfied costumer, not a mass marketing, where there has to be a compromise between quality and price. And how did this all start?? The history begins much earlier before placing the first product on the market or selling it. It begins with something incorporeal, but incalculable valuable - an idea. Ideas often just come and go, but some of them stay somewhere deep in our minds, waiting for the dream to come true. 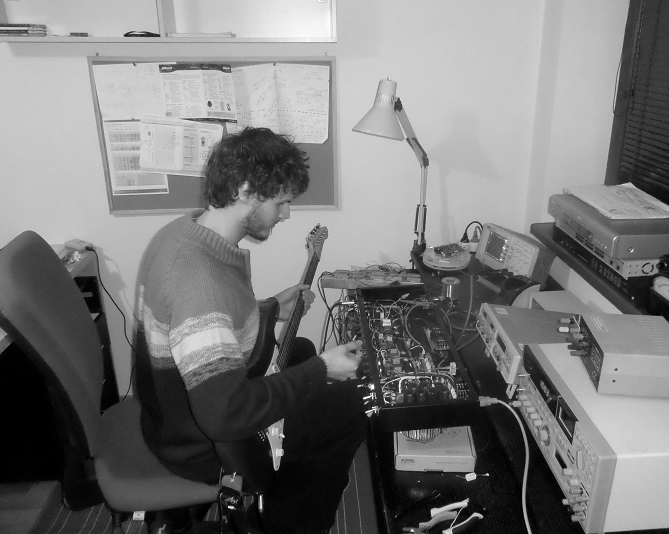 My first guitar effect was a simple booster with three transistors. Since I did it by myself when I was only 13, there was no better sound in this world for me at that moment for sure! Later I began to seek for applications with electron tubes, because I thought they were simple and made a good sound. The circuit diagram is optically simpler than the one with transistors, but it is more demanding to a right choice of other components and the overall design. Talking about the sound quality, in my opinion they are unmatched even nowadays. 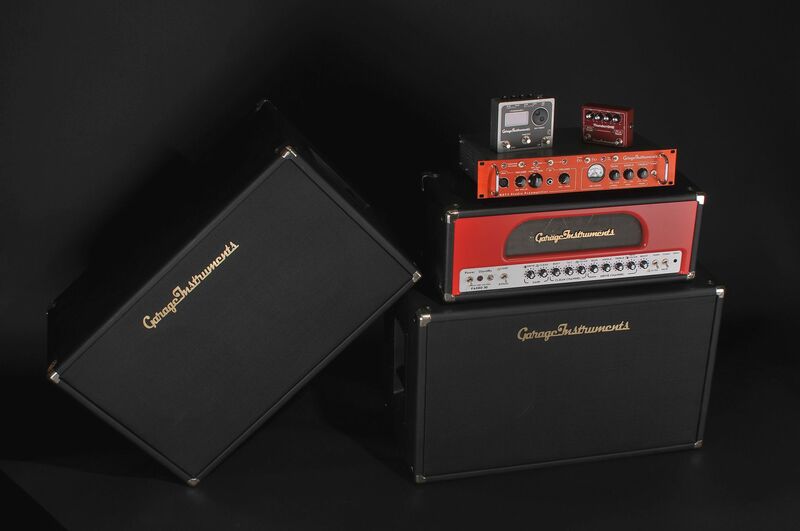 With some breaks because of the school or job, there were 3 versions of guitar valve amplifier created. Unfortunately every time with some shortcomings. In 2015 I finally made up my mind to make a final version of my device. 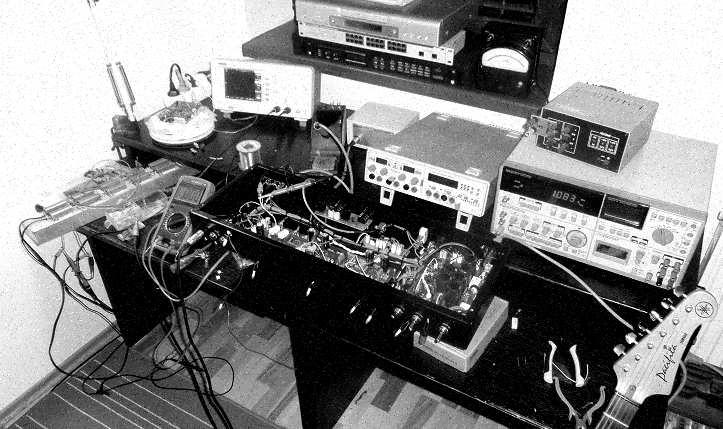 That was when the idea of FADED-50 amplifier began to come into reality, joining all the best from previous versions into one functional unit. Professionally and aesthetically. 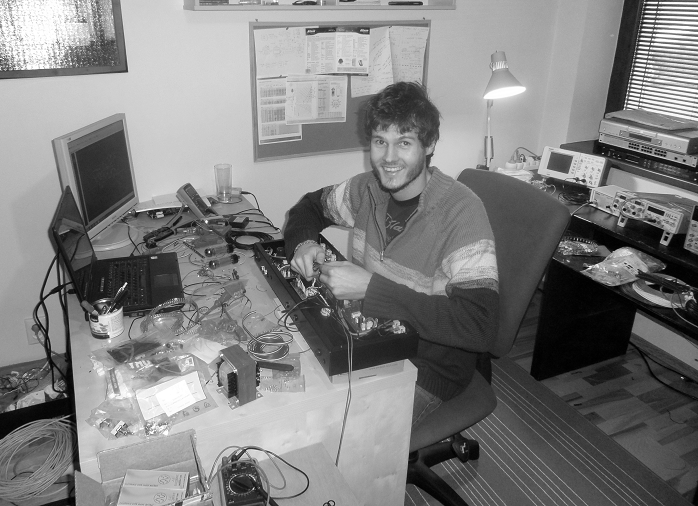 I knew that it would be too much for just one person, because with the idea of an amplifier the story just begins and so the project named GarageInstruments® began to take shape. I told my friend, Andrej Halás, about my idea. He was out of the "world" of musical devices at that time, but was generally well up in music. He was interested in background things of the business more than in an electrical designing itself, what was exactly what I needed. We shook hands and began to cooperate. This was the first significant step, because there is always somebody to pull You through the crisis and You are still moving forward in the end. Step by step the concept and the design of our first amplifier FADED-50 was brought to perfection. When guitarists, whose opinion I appreciate very much, tested our device, it only confirmed, that our decision was right. The future is clear. Our products are in a "Boutique" category, meaning they are hand-made/hand-mounted and produced in smaller series. The delivery date is usually 1-3 working weeks, depending on product and production capacity. Do not hesitate to contact us in case of any questions here. Do not hesitate to contact us in case of any questions. We are here for You and we make things for You. You are the beginning and the end of this relationship at the same time. Your satisfaction is our priority. Thank You.